421 Lakeview Zephyr Cove CA offered at $1,475,000Elk Point gated lake front community is one of the most sought after neighborhoods within the Tahoe basin. 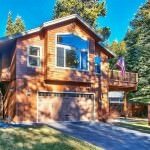 Located on the East Shore of Lake Tahoe, this exclusive community provides a quiet neighborhood with access to a private cove of friendly swimming waters, a beautiful sandy beach, marina and bbq dining area. The neighborhood location is just minutes from restaurants, casinos, skiing, theaters and shopping.Continue Reading! 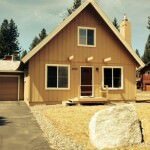 1193 Tomahawk Ln South Lake Tahoe CA offered at $483,000Here it is, just what you have been waiting for! Beautiful home, like new! 3 bed, 2.5 baths, split level, excellent condition. 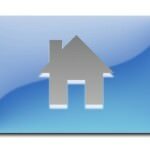 Nice quiet, flat, neighborhood with new construction and well maintained homes all around. Vacant lot across the street provides privacy and forest feel. Features you would see in a model home include: designer light and plumbing fixtures, upgraded imperfect smooth wall texture, 5 inch baseboards, recessed niche for entertainment...Continue Reading! 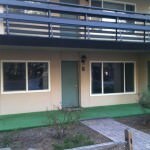 1251 Sierra Blvd #1&2 South Lake Tahoe CA offered at $259,000Nice duplex priced to sell. Central location. Close to public transportation. Great occupancy rate. Forest Service lot to right. Each side is 2 bedrooms with 1 bath. Open floor plan and wood vaulted ceilings throughout. Bathrooms have been remodeled. Laundry hook ups in each unit. Storage for each unit. Ample parking. Each unit has fenced back yard. Come take a look, this one won't...Continue Reading! 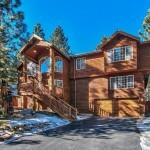 1856 Kickapoo St South Lake Tahoe CA offered at $749,500Wow factor found here! This Amazing county residence has it all. The custom list of fine features include: exterior peeled log banister, high wood lined ceilings, hickory hardwood floors, backlit log accents throughout, natural stone on counters & floors, large composite rear deck great for entertaining, large family/game room with pool table & fireplace-perfect for gathering, extra large master suite with 2 way fireplace, jetted tub, dual vanities &...Continue Reading! 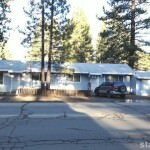 1168 Herbert Ave #B South Lake Tahoe CA offered at $175,000Not a short sale or reo. Priced to sell in well maintained Bavarian Village. Come in and put your ideas to work or put in some slight cosmetics. Quiet downstairs location, extra storage shed. 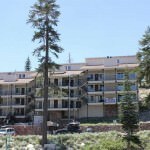 Get the Tahoe life style at a bargain price !Continue Reading! 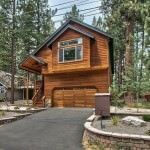 Price Changed to $535,000 in South Lake Tahoe! 1774 Spring Creek Rd South Lake Tahoe CA offered at $260,000Continue Reading!